The term 'gamification' may be new, but the concept has been around for some time--just think credit card rewards programs. Despite the buzz and proven results, many companies are still not sure about using gamification. Here are five key reasons why your business should be gamifying. Gamification may be among the latest tech industry buzzwords, but the concept of using games and gaming tactics to engage users is not new at all. For example, credit card companies and airlines have been using the concept of gamification for years to entice customers to earn rewards through their brands. Despite the buzz and the potential, many companies are either not gamifiying at all or gamifying and failing. They might be hesitating because they can't see the ROI of gamifying their website or product. Others may be waiting for a big success story from a Fortune 1000 company so they can mimic their strategy. However, if you have a community where your customers gather and a desire for growth, you should be looking at your gamification options. There are many reasons to gamify, but here are five key points that highlight why you shouldn't delay deploying a gamification program. Most gamification platforms require users to log in with a valid email address or social media credentials. From that point on, your company is able to gather data on that person and see what they do on your website. Each person will be associated with clicks, points, badges and achievements, all of which generate big data. And big data equals valuable customer information and insights for companies. Large amounts of data will be generated regardless of the type or success of the game, but it will be ultimately worthless unless it's analyzed correctly, says Mike Hugos, gamification expert and author of "Enterprise Games: Using Game Mechanics to Build a Better Business." "This is the real-time feedback world we live in," he says. "Now the business needs to figure out how to engage in that." 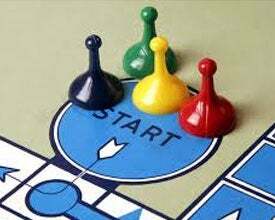 Some gamification vendors offer analytics as part of their products. 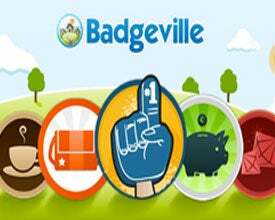 For example, Badgeville offers the Behavior Analytics software to measure customer engagement, behavior, growth and user activities. Bunchball has Nitro Connectors, a product that connects their gamification platform to enterprise software such as SAP, SharePoint or Yammer to collect activity and behavior from employees. Another benefit to having customers log in and participate on your website is that it allows you to use them as a sounding board. Companies like Allstate and GE have turned to crowdsourcing to help them come up with answers to complex business questions. Gamification can be an avenue to crowdsourcing if the company uses customer feedback from games and applies it to a business issue it is trying to solve. Hugos says companies cannot innovate all on their own. He recalls a Deloitte Consulting study called "Innovation by Collaboration: A Blueprint for Action" as saying, "The notion that any company can be innovative through their internal R&D efforts is an obsolete notion," he says. "Games With A Purpose" is a gamification site that crowdsources information to better train computers to generate more accurate answers. There is a game called "ESP Game" where two people see the same image and type in various one-word captions for it. Once the two people agree on a caption, they get points and move onto the next round. The object is to agree on as many captions and earn as many points as possible in two minutes. The agreed-upon images are made into tags that get recorded so search engines have a better idea of what each image contains. Gamification is a creative and useful way to introduce customers to a new product you may be launching. Similar to giving a free trial of your product, you can let users test out your product in the form of a game designed to teach them how to use it. Jennifer Wise, an analyst at Forrester Research, says games should give people a sense of achievement. "It's providing the achievement that's connected to a motivation," she says. She cites Adobe, who is well-known for giving 30-day free trials of its software. Adobe is now doing an onboarding program called LevelUp for Photoshop that teaches people the basics of the software by tasking them with assignments where they can earn points and badges upon completion. "It breaks it down into bite-size pieces and the audience sees its progression towards mastery," Wise says. However, she says, companies have to be weary of offering too much to potential customers. Many companies will give discounts on products in exchange for a person's email address, for example. "If the company's goal is to interact with me more, I might get 10 percent off and then unsubscribe from their emails. If you are offering a reward you need to make sure it's for the right audience," she says. Rather than just benefitting themselves and solving their business problems, some companies are giving back to the communities connected to their industry by using games for the greater good. For example, Opower, a Software-as-a-Service company that works with utility providers, has been using Facebook to encourage people to track and share their energy consumption and compete to be the most energy efficient. RecycleBank is a company that rewards people with gift cards and discounts to stores and restaurants for being green by recycling paper or using less energy in their homes. Gamification can help you remind your customers that you are present and engaged with them. Wise says companies need to keep regular content up on their websites in order to stay top of mind. "It's very easy to gamify when it's a social environment or when you have a lot of content to keep the engagement fresh," she says. Hugos says games should be a way to pull people together. "Players attempt to achieve a goal within the rules and have a stake in the outcome," he says. "The rewards are more than smiley faces and thumbs up and likes. They turn out to be stuff you can take to the bank." Though there are strong benefits to gamification, Hugos says he believes it is still strictly tactical and has a ways to go until it's fully evolved. "Games are a perfect organizing paradigm for unpredictable environments and that's the strategic element we're missing. There is a whole strategic element we've only started to touch on."